When I needed to publish a podcast on my blog, I figured it would be a two step process. 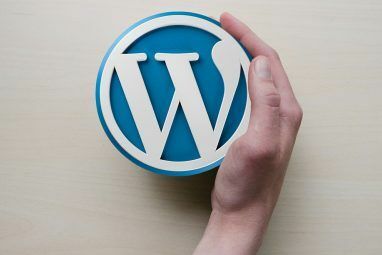 Looking around, I found that PodPress seems to be the plugin of choice for podcasting with WordPress. After the installation however I found that there were so many controls and options, and I found myself googling for podpress tutorials. 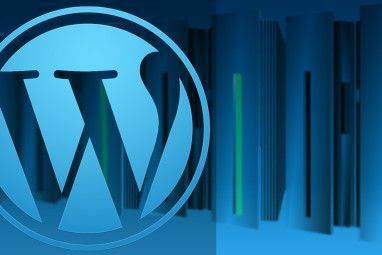 Unfortunately, there is very little material on how to podcast with WordPress. Assuming that you know how to install WordPress plugins, and burn your feeds using Feedburner, I’m going to show you how to get your podcast file from your hard drive to the iTunes podcast directory. Don’t worry, it’s very simple really! After you’ve installed and activated the PodPress plugin, go to the settings page in your WordPress admin. Go to the ‘Feed/iTunes Settings’ under the PodPress plugin menu in your sidebar. In there, you will find PodPress has automatically filled in several details like your feed URL and such. You need to enter details like your Podcast title and other details. Your main job here is to provide thumbnail images for display in the iTunes Podcast directory. You can browse through the General and Player settings to see what options you want to tweak, but you don’t need to worry about much as the settings are auto generated. I’d highly suggest you burn your podcast feed using Google Feedburner. This will let you analyse your traffic better than just feeding iTunes directly. To burn your feed, copy the feed URL from the ‘Feed/iTunes Settings’ window, and paste it into the Feedburner’s field. Check mark the “I’m a podcaster” option while you’re at it. Write your post as you normally would. However, under your writing window you will notice the Podpress controls. 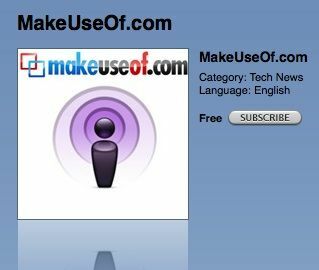 Click ‘Add Media File’ and specify your podcast file from the drop down list. The podcast file itself needs to be uploaded (using an FTP client) to your wp-content/uploads/ folder to show up in the list. Once you select your podcast file, you’ll need to specify the kind of file (whether it’s a mp3, movie, etc), while the size and length can be auto detected. You can also add specific settings for iTunes, like whether the episode is explicit or not. Failing to comply will result in your feed getting banned on the Podcast directory so be sure that you take care of these things. In the iTunes Store, navigate to Podcasts from the left sidebar. At the bottom left you will see a link to submit your podcast (direct link) to iTunes. In the following window you need to specify your feed URL. Paste in the feed that Feedburner provides you with. After this you will be asked to specify your category, whether it is explicit and a few other details. The iTunes staff will then review your podcast and accept or reject it based on their criteria. This can take up to 2 days. They will send you an email when your podcast is accepted or rejected from the store so you don’t have to keep checking. That’s it. The next time you post, all you need to do is upload your media file to your Uploads folder, and specify it while writing your post. Just hit publish, and watch those subscribers flutter in! Explore more about: iTunes Store, Podcasts, Wordpress, Wordpress Plugins. Great post! This info really helped me get my first podcast up to itunes. Even though it's really simple, this stuff can get really confusing to anyone who hasn't done it before. I followed the tutorial up until the Feedburner pat. I get this error, which surprises me since many audio files are bigger than 512K. "Your feed filesize is larger than 512K. You need to reduce its size in order for FeedBurner to process it.."
In the last few months I used to write my xml file manually and feedburner replaced the source link by burnt one. the burned links were used on itunes & facebook and on my website to get the full stats. How do you include the traffic in the stats from your own blog (the source link) as it is not yet burnt by feedburner ? manual XML >>>> feedburner >>>> own website, Facebook & itunes & so on (for all the stats). wordpress(source URL) >>> feedburner >>> itunes....(source stats missing). Is there a way to get burnt links with an API or something through wordpress & podpress) to put burnt links as the source file ? Help! - I'm pulling my hair out! Hi there - My artwork doesn't show up in the iTunes store. can you sell your podcasts on the itunes store? Don't forget that hosting is cheap these days. So you can upload your podcast to a 6.50/month webhost and get great great milage. I recenly started hosting my podcasts on Youtube and it's competitors like megaupload. viddler. Excellent tutorial Milind. I'm definitely going to try this out though I am not sure how many people actually listen to podcasts these days. If you haven't noticed, Podpress hasn't been updated in over a year and it includes some bugs that prevent it from working correctly in WordPress versions 2.5 or newer. Because of this, I've developed a Podpress replacement plugin called Blubrry Powerpress (blubrry.com/powerpress/). Powerpress includes all the important functionality found in Podpress and is designed to import Podpress settings and episodes to be a Podpress replacement plugin. In addition, Powerpress does some things that the current version of Podpress doesn't including systematically pinging iTunes and the ability to upload new iTunes cover art within the plugin. Please check it out and feel free to contact me if you have any questions or suggestions.